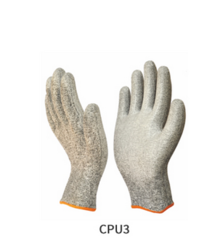 Our range of products include cut resistant light grey coated gloves, cut resistant blue and white coated gloves, cut resistant gloves and cut resistant white coated gloves. Banking on years of understanding of this domain, we present the optimum quality of Cut Resistant Light Grey Coated Gloves. 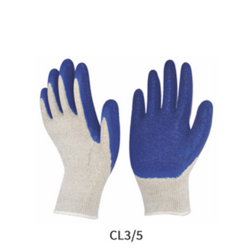 Known for their resistance against cutting and impeccable finish, the blue and white coated gloves are manufactured by using modern machinery. The quality of the cut resistant blue and white coated gloves is never compromised. 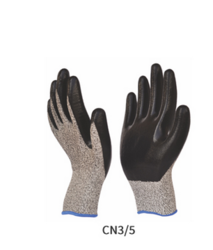 Cut 3/ 5 liner Knitted combine with unique coating of Oil resistant Nitrile on palm for add protection against cuts & abrasions with exceptional grip, comfort, light weight with uncompromising dexterity, flexibility & excellent coverage to the risk in sharpest working environment. Cut 3 liner Knitted combine with thin coating of Polyurethane for added grip & durability. These gloves are very light, better grip & flexible. Banking on years of understanding of this domain, we present the optimum quality of Cut Resistant Blue and White Coated Gloves. Known for their resistance against cutting and impeccable finish, the blue and white coated gloves are manufactured by using modern machinery. The quality of the cut resistant blue and white coated gloves is never compromised. 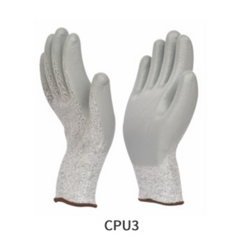 Banking on years of understanding of this domain, we present the optimum quality of Cut Resistant White Coated Gloves. Known for their resistance against cutting and impeccable finish, the blue and white coated gloves are manufactured by using modern machinery. The quality of the cut resistant blue and white coated gloves is never compromised. Looking for “Cut Resistant Gloves”?